From this tutorial you’ll learn how to move website to another domain from your previous one. First, log in to WordPress Dashboard. 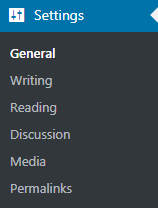 Navigate to Settings > General tab on the left of the Dashboard and replace the old WordPress address (URL) with the new location of your WordPress engine files. You also need to replace the Site address (URL) with a new one (it should match your new WordPress address). Now let’s move WordPress folder (the directory where WordPress engine is installed) to the new location. 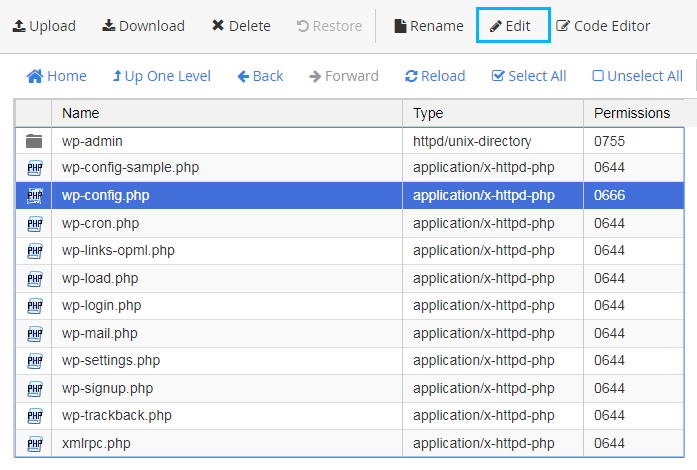 The next thing to do is to make some changes in wp-config.php file. Click on Edit to open it for editing and define the necessary WordPress configuration settings needed for accessing MySQL database. Now let’s access your previous database. Navigate to your hosting server cPanel and open phpMyAdmin tool. Here you need to export the existing database. If you don’t know how to do it, please, feel free to read Exporting MySQL Database Using GoDaddy tutorial. Save the SQL file to your hard drive. Now we need to open the SQL file with any text or code editor that is convenient for you. Here you need to replace the previous domain name with your new one. Be careful to replace all the instances where your old domain name is used. Let’s navigate to phpMyAdmin tool and create a new database. If you don’t know how to do it, proceed to read Creating a Database tutorial. Let’s import the SQL file to a new database. Click on Import tab and browse the file. Then upload it. Now you can open your website on a new domain. Input your new site URL address in the browser address bar and log in to the Dashboard using your username and password. This tutorial is based on Fashion Blog WordPress theme.